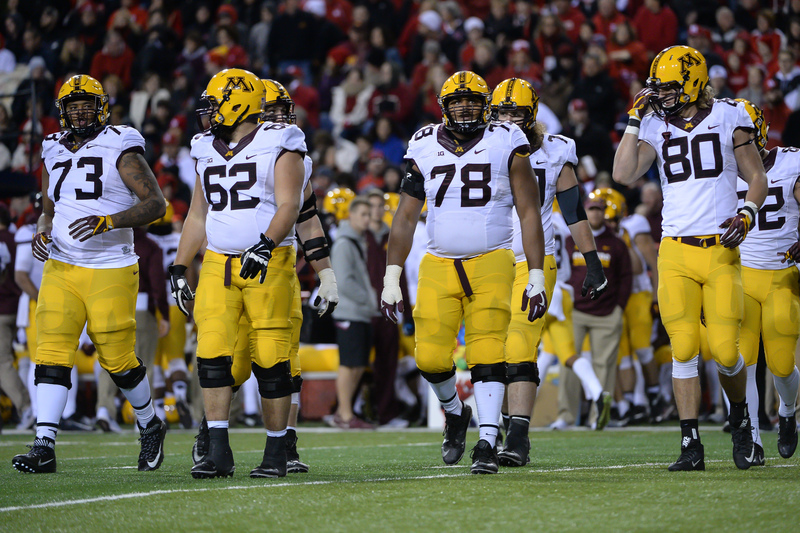 The University of Minnesota football team could be making an unpopular stand for their suspended teammates. Sources have told the Minneapolis Star Tribune that the team plans to boycott any football activities until the 10 players who were suspended from a sexual assault investigation are reinstated to the team. Four Gopher players were suspended earlier this season due to the sexual assault investigation and were suspended following a criminal investigation. However, more players were implicated following an internal investigation. The school announced Tuesday that 10 players were suspended for Minnesota’s bowl game (The Holiday Bowl) on Dec. 27. Along with the suspensions, half of the players suspended for the game against Washington State are subject to expulsion. The teammates of these suspended players have decided they do not agree with the punishment handed down by the administration and have reportedly decided to boycott — and sources believe Gopher head coach Tracy Claeys agrees with the decision. The Gophers had a players-only meeting Thursday afternoon and later brought in head coach Tracy Claeys to inform him of their plans, sources said. According to two parents of players, all of the team’s players are planning a united announcement Thursday evening to say they are immediately boycotting team activities and are willing to boycott the Holiday Bowl if “their demands are not met” — a reference to their teammates being reinstated and reversing the decision to suspend the 10 players. The announcement has yet to be made, but it appears very likely that it will. This is the first major boycott since the Missouri football team decided to threaten a boycott of a regular season game unless the university system president resigned. For all of those who said the Tigers’ boycott could start a revolution might have their proof right here with the Gophers.